Navigating a business casual dress code can be confusing—you don’t have to wear a full-on suit, but that strapless dress with cutouts probably isn’t appropriate. Getting dressed in the morning can be stressful when you’re trying to figure out how to create an ensemble that’s professional without being boring. So what’s a girl to do? Don’t let the office dampen your style! Today I’m decoding the office dress code with four fashionable yet professional outfit ideas for the workplace. You can pretty much assume that all blazers are safe for a business casual dress code, so arm your closet with plenty of fun colored and textured blazers! A heather gray texture in n oversized fit is both classic and cool at the same time. 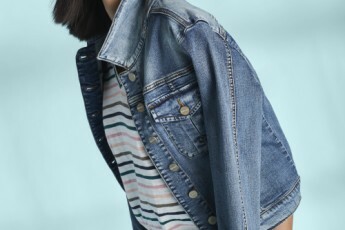 Pair it with black skinny jeans and a detailed blouse for a polished, layered look. Psst! No one has to know you’re wearing leggings to work! 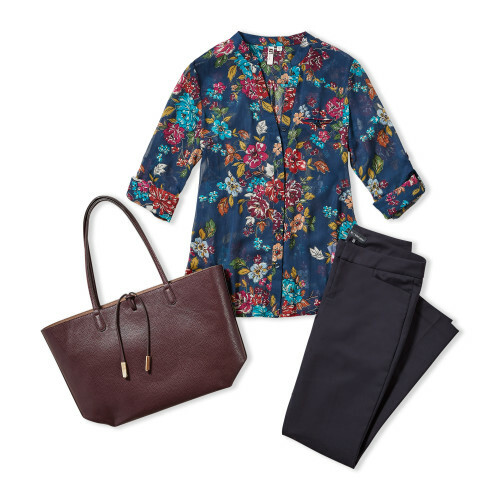 Choose leggings with faux pockets and stitching that make them look like trousers, add a flowy chiffon top with plenty of room to breathe (another excuse to load up on free donut day), and you’ve got the best professional, comfy combo for the office. 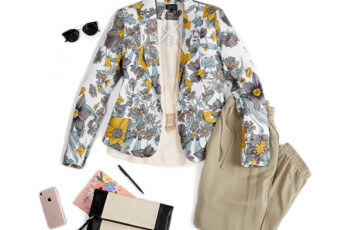 Make your office-friendly dress edgier by adding a moto jacket to the mix. 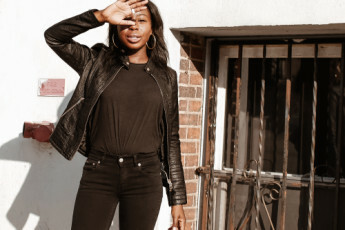 Leather jackets are very versatile, and you can rest assured knowing that it’s appropriate to wear them both in the office and for a night out on the town. You simply can’t wear business casual every day without owning a pair of straight black or navy trousers. They go with everything and make any outfit instantly professional. Wear your classic pants with a fun printed top to show your style personality! I’m a die-hard Midwestern gal living in the pursuit of a vibrant life. That means I’m hustlin’ hard while not taking life too seriously, staying active while eating as many French fries as I darn well please, and traveling the world while staying loyal to my Midwestern roots.